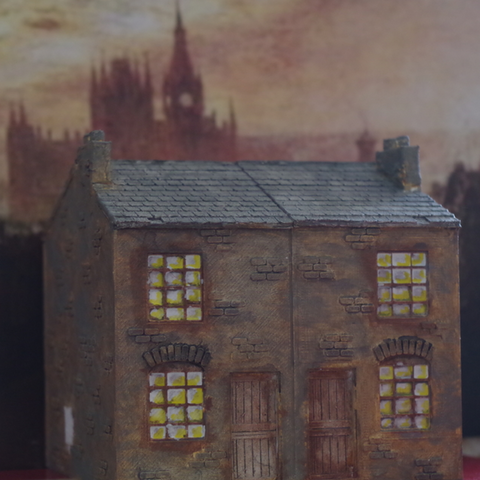 I made this and the following range of 28mm buildings to accompany the "In Her Majesty's Name" set of wargaming rules by Craig Cartmell and Charles Murton, published by Osprey Wargames, and because I've been watching "Ripper Street" on that new-fangled television apparatus. 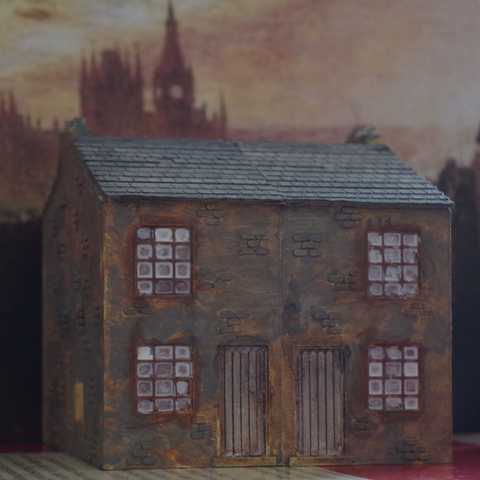 They should suit any variety of Victorian building usage that needs a taste of the old East End, and many of the buildings will still be alive and kicking in 'Station Roads' up and down the country and so useful for train scenery building. The terrace models can be 'chained' together to form any length of cheery slums using the brace section to support the individual fronts, backs and roofs. An end wall can then be put at each end. Note: This series of models does not condone murder, violence or other mayhem, and sightings of the Ripper should be reported to the Metropolitan Constabulary at Great Scotland Yard preferably via telephonic device on Whitehall 1212.